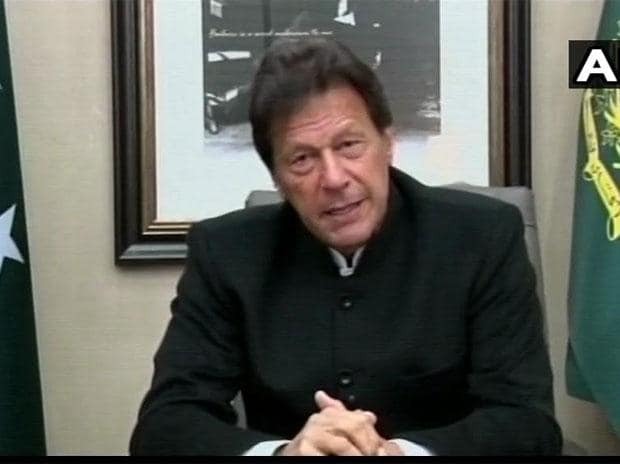 Pakistan Prime Minister Imran Khan said that the release of IAF pilot will be a "peace gesture"
Pakistan Prime Minister Imran Khan on Thursday said he will release a captured Indian pilot tomorrow as a gesture of peace. "We have captured a pilot of India. As a gesture of peace we are going to release him to India tomorrow," Khan told lawmakers in Parliament, according to Bloomberg news agency. "I did try yesterday to talk to Narendra Modi only to de-escalate this situation. But this de-escalation effort should not be considered as weakness," said Khan, referring to India's prime minister. Pakistan arrested the Indian pilot on Wednesday after aircraft from the two nations clashed along the Line of Control in Kashmir in the worst military stand-off in decades. A day before Pakistan downed the pilot's aircraft, the Indian Air Force said its jets launched airstrikes against terrorists inside Pakistan. The target was a camp run by Jaish-e-Mohammed which claimed responsibility for the February 14 suicide car bombing in Pulwama in Kashmir killing 40 members of India’s paramilitary CRPF. India also shot down a Pakistani fighter plane on Wednesday, said Raveesh Kumar, spokesman for the Ministry of External Affairs.